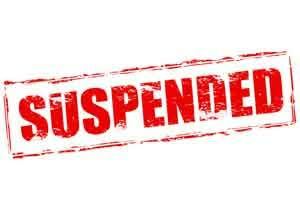 Mathura: The Uttar Pradesh Health Department suspended the Chief Medical Superintendent and a doctor of the government hospital here for alleged “delay” in treatment of the traders who were shot during a robbery last week. On May 15, two businessmen were killed and two others injured during a robbery at jewellery shops in Koyalawali Gali in Mathura. “The victims were rushed to the district hospital. However, due to the absence of the doctor on duty, Sushil Kumar, neither timely treatment was given nor an ambulance was made available for the referred cases,” Health Secretary Alok Kumar said in an order. It said the injured are receiving treatment at the hospital. The Additional Director Health (Agra) will probe the incident and the Chief Medical Officer (Mathura) will execute the departmental proceedings, the order said. “Chief Medical Superintendent Dr Anup Kumar Ambesh allegedly was not present when the patients were brought to the hospital and he had not made any arrangement for ambulance,” the order said. However, Ambesh denied the allegations, claiming that he reached the Emergency Section of the hospital five to six minutes after the patients were admitted, and Dr Sushil Kumar and Dr Dharmveer were attending the traders.